Richard Ryan was known during his turbulent career as Minister for Finance as 'Red Richie' by colleagues in Fine Gael for implementing a Wealth Tax and as 'Richie Ruin, Minister for Hardship' in the satirical Telefis Eireann programme Hall's Pictorial Weekly, hosted by the Fianna Fail-leaning Frank Hall. Ryan had left a hostage to fortune by telling the Dail in July 1974: "There will be one law for all, not one for the rich and another for the poor." But a year later, after fighting a rearguard action against it, he rammed through the Wealth Tax Act 1975, facing opposition from Fianna Fail and patrician political figures in his own party, including Paddy Donegan and Maurice Dockrell, who declared: "I was not elected to bring in this piece of socialist legislation." 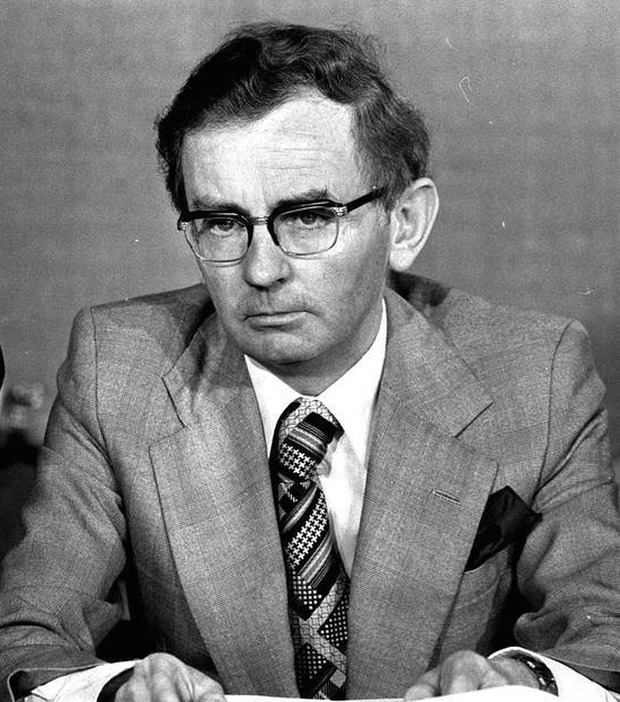 "Richie is one of the people who comes out well of the 1973-1977 Coalition era," fellow minister Justin Keating of the Labour Party would later tell journalist Raymond Smith. "He is like a terrier - has oceans of courage. There was no brow-beating on the Wealth Tax issue. We decided on it maturely as a Government, but without Richie's commitment, it would not have happened," he said. On the other side of the coin, he abolished death duties and was responsible for the introduction of the Unmarried Mothers' Allowance, although he got little credit for either. He told the story of walking through Meath Street, part of his constituency in Dublin Central, and being accused crudely of promoting a 'hoor's charter' by two middle-aged Catholic women. In the Dail, Charles J Haughey added another bit of Dublin parlance, saying "You are only a gutty" in one heated debate and Ryan got his own back later, saying: "It is no longer possible to believe daylight from the Taoiseach, we know he tried to cover up treason," referring to the Arms Crisis. A devout Catholic, Richie Ryan was a close supporter of Liam Cosgrave when he was elected Taoiseach in 1973. He had previously served as Fine Gael spokesman on Foreign Affairs and resented Garret FitzGerald's interfering in his brief by making speeches on Northern Ireland and plotting against Cosgrave's leadership. In a juxtaposition of the consensus, Ryan was appointed Minister for Finance, where he had no experience, while FitzGerald, who had, got Foreign Affairs. "I am doing it because I respect your judgment," Cosgrave told him. The Coalition had come to power at a time of a heightened IRA campaign and economic recession. Not only did Ryan introduce the controversial Wealth Tax, but he also brought in Capital Gains Tax on property in an attempt to end speculation in the housing market, abolished a tax exemption for profits in the mining industry and increased VAT and Excise Duty, making him a highly unpopular public figure. He was also in favour of taxing farmers and spoke in favour of it at the Literary & Historical Society in UCD, where he had once been auditor. In this case, he was vetoed by rural Cabinet colleagues, who opted for an ineffective system of 'notional' taxation. "The PAYE sector in time became very incensed when they saw that farmers were unwilling to pay tax at all," he said later. Richie Ryan, who died on Sunday, March 17 at the age of 90, was born in Dublin, the son of a solicitor, James Ryan, of Terenure. He attended Synge Street CBS and later UCD from where he graduated with first-class honours. After qualifying as a solicitor, his first job was as personal assistant to Jim Everett, Fine Gael Minister for Justice in John A Costello's Inter-Party government of 1954-1957. He married Mairead King, who came from a family whose father and uncles had played prominent roles in the War of Independence and they had five children. First elected to the Dail in a by-election in Dublin South-West in 1959 at the age of 29, he switched to Dublin South Central and later Dublin South-East, the same constituency as Garret FitzGerald. He had practised as a solicitor while a TD, but gave up on being appointed a minister. As chairman of the Fine Gael re-election 'Campaign Committee' in early 1977, he strongly advised Liam Cosgrave to let the Government run its full terms until the following year, as economic conditions were improving, unemployment falling and the Government's popularity rising. Disastrously, Cosgrave ignored this advice, saying that Labour leader Brendan Corish was "wobbling like a jellyfish" on various issues. The Government was dissolved on May 25, 1977, the election held on June 16 and Fianna Fail under Jack Lynch won a landslide victory. "We had not anticipated an election that side of summer... we had concentrated so much of our tasks and responsibilities as ministers that we forget the need to be political animals," he later told Raymond Smith. He was elected to the European Parliament for Dublin in the first direct elections in 1979, and disappointed at not being appointed a minister in Garret FitzGerald's Government of 1981, left domestic politics in 1982. He was re-elected MEP in 1984, but resigned from Fine Gael two years later when he was appointed a member of the European Court of Auditors. There was some surprise when his old adversary, Charles Haughey, re-appointed him in 1988 and he served in that capacity until 1994. Richie Ryan was also chairman of the International Monetary Fund for a time, but one of his proudest achievements was to become the longest-serving Commissioner of Irish Lights (40 years) and his sailor's cap adorned the coffin at his funeral Mass in St Therese's Church, Mount Merrion last Thursday. He was also chairman of the Red Cross for a number of years. Richie Ryan suffered a serious accident in 1995 and was confined to a wheelchair in his later years. He lived in Clonskeagh, Luxembourg and Terenure and is survived by his five children, Declan, Cilllian, Ultan, Aoife and Blathnaid.